If employers solely make their hiring decisions based on a candidate’s academic qualifications, then the whole hiring process would be cut and dried. Those who possess high IQ or stellar credentials at school or university would be hired immediately, no questions asked. However, there is more to the hiring process than just basing on cold, hard numbers. They want to get to know the candidates better, which is why they conduct a series of interviews and examination. In the same way, have you ever wondered why some people seem to have more friends or a wider circle of friends than others? There are people who just seem to naturally attract other people like bees to honey, while others have to put in a lot of effort just to get noticed, much less engage other people in conversation. If we are going to be much deeper about it, this would also explain why some people are better at building and maintaining relationships than others. There is one explanation for this: these people have skills or abilities that the others simply do not have or, even if they do, they are in smaller measures. More often than not, these are their social abilities or interpersonal skills. This guide will explain 1) what are social abilities, 2) why are they important to develop, 3) important social skills to acquire, and 4) how to develop those needed skills. Humans are, by nature, social beings. They cannot help but seek out company, so being social or sociable is already an innate characteristic. We can even go so far as to say that being sociable is part of their genetic make-up. The only difference is that, some people have tapped into this characteristic while others prefer to keep it hidden or under wraps. For many, it also takes a lot of work to let out that side of them. Which is why we are here to discuss how to improve our social abilities. Social abilities or social skills may also be referred to as interpersonal or communication skills. These are the abilities that are possessed and used by individuals to interact and communicate with each other. The mode of communication may be verbal (spoken or written) or non-verbal (using body language, gestures and facial expressions). We have already established that we all have social abilities; we just have to develop and improve them in order for them to be of some use to us. But why is it so important to develop these abilities? What advantages can we expect from having well-developed social abilities? The most obvious advantage would be having better and improved communication with everyone around you. In short, good social skills equal good communication. However, that statement is quite broad. So we can break it down further by identifying the advantages one could gain by using good social abilities to improve communication. Having strong and stable interpersonal relationships will actually get you far, both personally and professionally, as you will learn as we go along. Relationships take a lot of work, and this does not apply only to married couples. This applies in all relationships in general. If you have good social skills, you are quicker to identify and relate well with other people, and get them to like and even trust you. In another way, you will also be able to attract their attention, and they will feel interested in what you do and thus will be drawn to you. 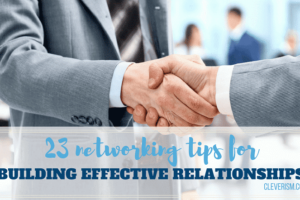 Another advantage you can expect from having good relationships is being able to establish a strong and solid support network. Imagine working in close quarters with a person you do not understand or can’t communicate with. That is bound to cause some friction. Picture yourself in a very important meeting where you cannot be civil with a colleague that you do not like as much as the others. I am betting that the meeting will not go as well as planned, and any agenda or problem will be hard to resolve simply because of the communication problem. People who are better connected and have good social skills usually end up having better career prospects. At work, they are the people who leave a better impression than others, so they are usually the ones that are considered first for promotions or pay raises. Compare a person who prefers to keep to himself, seated in his own small corner of the office and isolating himself from everyone else as he goes about his work. Compare that to a person who works just as hard, but still manages to take the time to be sociable with his co-workers, superiors and subordinates. Between the two, it is clear that the latter will have better chances of advancing in his professional career than the former. It’s almost a given that one’s self-esteem will get a major blow if they are not on good terms with other people. Having no friends certainly does not do anything for your confidence, because that sense of being alone, of not belonging anywhere or with anyone, or even not being liked by anybody, is bound to take a toll on a person. How do you feel knowing that you are in good terms with people around you? Doesn’t it make you feel better, knowing that you can easily talk to them, share your thoughts and even joke around? You do not have to be too stressed about keeping up appearances, or walking on eggshells around them. You don’t have to feel too pressured or suffer anxiety thinking about how to avoid those you are not in good terms with. Stress-free and anxiety-free, you can pay more attention to the important things. We can come up with a long list of social skills that a person could possess, but let us narrow that list down to the abilities that you would want to have if you want to get ahead, both in your personal and professional life. For you to talk to someone about anything, it’s important to know how they feel about the topic. Unless you listen to what they say, this is not possible to achieve. When you listen, you will also show concern since you will be accepting and appreciating your partner’s input in the matter. When we speak of social skills or communication skills, the first thing that comes to mind is the ability of a person to start a conversation and sustain it or keep it going. Verbal skills involve the choice of words we use as well as the tone, pitch and volume of voice that we use when speaking those words. One can tell so much by how the tone of a person’s voice changes while saying something. Sometimes, what we don’t say with words actually speak more volume. The things that we do not say with our moves have much more impact when conveyed in other ways, such as a look on our face or a gesture made with our arms. Body language is also very important when communication, which is why it is also important to be mindful with how we express ourselves through our bodies. Sometimes rapport happens naturally when we think that we ‘hit it off’ with someone else without necessarily putting any effort. However, sometimes it has to be built by finding overlapping areas of interest, being empathic and developing bonds. It is a skill that can help you make some good connections with people who might end up being very instrumental in your life. Use the following conversation starters to build a rapport quickly. Most times in life the view get flawed and we tend to look at things only from our own perspectives. While it may sound perfectly normal, it makes you appear selfish and as a result it can make other people fear associating with you. With empathy, you will look at things from the other person’s perspective and try to understand how they feel. Empathy is one of the most important social skills to have because it helps you identify other people’s needs and the perception you create. Finally, you need to be in control of your nerves when under pressure. A study by TalentSearch has shown that 90% of top performers have the ability to remain calm and composed even during stressing and demanding situations. Although we all have social abilities within us the moment we were born, it is a fact that not all of us are actually making use of them, or even making any efforts on developing them. Asking these questions and going through these scenarios in your head over and over is not going to help or accomplish anything. You have to take action and actually do something. One step towards that direction is to make an effort to improve your social abilities. Since you want to improve yourself, it’s important that you know yourself first. No one knows you better than yourself, so you already have an idea about your identity and what makes you tick. However, this should not stop you from looking into other ways to get to know yourself better. Talk to family, friends, co-workers and other acquaintances. You will be surprised at how much you’d learn about yourself when you talk to other people. Sometimes, how others perceive you might be worlds apart from how you perceive yourself. You may think you come across as friendly and approachable to some, when they actually find you too assertive or even aggressive. Take note of what you get from others and compare it with what you think about yourself. Take assessment tests, particularly those focused on social skills. You shouldn’t have any trouble finding these tests online depending on the trait that you want to test, but you may also approach the professionals and get a psychologist administer the test to you. This will give you another perspective of your social abilities. Reconcile the differences in perspectives. Your family may look at you one way, and your friends in another way. It is also possible that the people you work with have an entirely different perspective of your personality. This is normal, because we tend to act one way when with people we are close with than with people we are only on professional terms with. Try to determine the factors for these differences, so you can put clearer reasons on why people perceive you in various ways. Identify your strengths and weaknesses. This is actually another important reason why you should take the time out to know who you are – how you see yourself and how others see you. You will learn what areas you need to continue doing well at, and which areas need more work on. This is where the “a lot of work” we kept mentioning comes in. Improving your social skills does not happen overnight. It takes time – a very long time for some, even. At first, you may even come across obstacles and your efforts do not pan out the way you expect to, but you have to keep practicing. Go out and mingle. We all have our comfort zones. Sometimes, we prefer to be by ourselves because we just like it better that way. But you cannot hope to learn how to communicate better if you stay away from everyone else. Seek them out. Talk to people. Spend time with them. At first, it may be awkward but again, let me remind you, that should not deter you from keeping at it. Ability to look at other people in the eyes while talking. Others may think you are impolite if you are addressing them while looking somewhere else. Ability to maintain eye contact for more than a brief moment. People tend to take your words seriously if you are able to hold their gaze while you are communicating. Posture, such as how you stand, how you sit, how you hold your head up. Slouching, keeping your head down or standing while slightly bent at the waist may look like you are lacking confidence, or have too much of it. Facial expression, or any tics or mannerisms that may show on your face. Many times, those who unconsciously make faces while talking with others are misunderstood and their words misinterpreted. Positions and movements of arms and legs. For example, crossing your arms while talking to others may be a defense mechanism when you are nervous but will only come across as arrogance to the person you are speaking with. Quality of voice while talking. This encompasses the tone, pitch and volume of your voice. Naturally, they should be in keeping with the circumstances, the subject matter, the nature of conversation being conducted, and the people you are speaking with. Actively seek out feedback. Of course, you want to keep apprised of how you are progressing. You may think that it is enough for you to evaluate the results yourself, but then again, getting others’ feedback will give you a fresh and new perspective. You see, you may think that you are doing well when others think that you aren’t really getting anywhere. In some cases, other people engage an “experiment buddy” to keep a close eye on them. It may be a family member or a close friend. This buddy will give you their opinion on how you are doing so far. Learn about coaching and seeking feedback from Robert Kaplan. #3 Be consistent about it. Consistency is very important. What if you become sociable with your co-workers, talking with them freely and even sharing meals or coffee with them for a week, and then completely distancing yourself again the next week? This will only be viewed as erratic behavior on your part, and we all know how most people react to those with erratic or moody behavior. You can go about it slowly, but surely. Some feel pressured to quickly improve their social skills and make friends. As a result, they end up coming across as aggressive or too forward, to the point of being condescending. They run the risk of bulldozing over others and imposing themselves on other people just to gain acceptance. This will undoubtedly backfire, and you’ll get the opposite result. This may be quite difficult at first, especially for those who are not really outgoing or who have trouble communicating with others. But even the smallest amount of confidence will help in getting you started on your road to improving your social abilities. If you do not believe in yourself and think that you will never hone your social skills then, in all likelihood, you never will. But if you put your mind to it, then you’re halfway there already. Remember that you already have social abilities to begin with. You just have to tap into them and improve them. We are all born with social abilities, but not all of us are born with good social skills. Sometimes, some of us need to work more than others to turn these social skills into something good and beneficial. This way, you won’t be wasting what you already have in abundance, and you can actually benefit from it in the present and well into the future. Another thing you have to remember is that improving social abilities involves, more often than not, a lot of trial and error. What will work for one may not work for another, and vice versa.It takes a lot of work, and a lot more practice. The important thing is to never stop trying to improve these skills. The moment that you stop, the growth of your social abilities will be stunted, and so will your opportunities.